A MLM with a focus on health and nutrition products. The products at NeoLife look great on paper, but they seem to be quite expensive and many have much more sugar than any health product should have. The opportunity itself is complex and the company provides as little information as possible on its site, forcing people to talk to reps to even find out whether the company is worth the effort. While making money might be possible, it would certainly be challenging. NeoLife’s products are focused on the health and nutrition market, although the company does also offer handful of home care items (cleaners basically) and a range of personal care items (moisturizer etc.). The product selection is decent, which important for any MLM. I do like the selection. Additionally, the site hosts nutritional labels for its products, so you can compare the products to other ones out there (at least in theory). There are a lot of MLMs in the health and nutrition field, and with good reason. Products in this field are popular, and it’s also very hard to directly compare them. 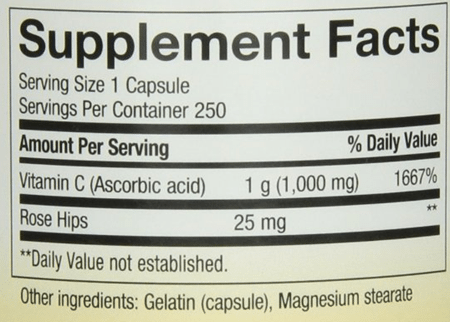 For example, the image below is the ingredients label from vitamin C supplements. That’s a surprising amount of ingredients for a vitamin C tablet. However, it’s hard to tell whether many of the added ingredients (like rutin or the Neo-Plex concentrate) are actually beneficial. For the sake of comparison, here’s an ingredients label from a Nature’s Way bottle of vitamin C.
For that product, the ingredients are much fewer and the actual amount of vitamin C is much higher. 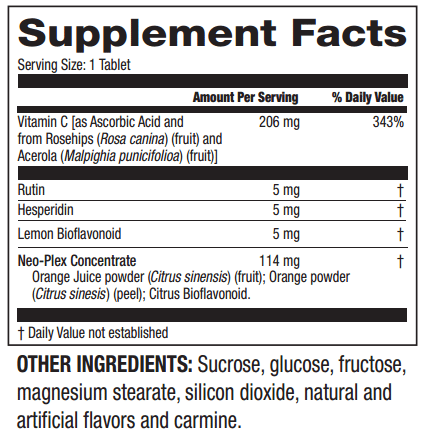 In fact, a serving of 206mg vitamin C in NeoLife’s product is lower than most the vitamin C supplements out there. However, at the same time, the Neolife product is a chewable, which might affect the ingredients they have to include. As you can see, comparing products gets challenging fast, and that was just for vitamin C, which is simpler than many other products. Those claims are probably true. However, they are also true of pretty much any protein shake out there – so, that doesn’t mean all that much. The product uses a blend of protein from different sources, which is unusual. This could potentially result in more health benefits (it’s hard to know), but it also means that more people will be sensitive to the product. The marketing for the product is also a bit misleading. It is promoted as having 18g of protein, which is impressive for a protein powder. However, the serving size is close to double that of most protein shakes. So, the amount of protein for a normal-sized serving is 9g, which isn’t that great. The biggest turnoff with the products from this company is the sugar. Many of their products have added sugar, including the protein powder and the vitamin C that I talked about. If you’re taking products to improve your health or lose weight, added sugar is the last thing you want. For example, the protein powder has 17g of sugar per serving. That’s really high and contradicts the idea of the shake being used for weight loss. As is often the case, many of NeoLife’s products are available on Amazon. Most of them have very little in the way of ratings. This suggests that either they aren’t popular, or that they don’t sell well on Amazon. Yeah… it's fish oil, it will do that. Most online reviews focused on the opportunity, rather than the individual products that the company produces. I did find one review on the shake that I mentioned earlier. The site gave the product three out of five stars, and has the same complaints about it that I do. The review also noted that the product works out relatively expensive per serving, particularly when compared to competing products. The limited number of reviews for the products really is a problem. This makes it hard to know whether the products are actually worth buying and whether other people will want to buy them. Normally I compare the price of the products compared to the market, but this is tricky to do with NeoLife. The site doesn’t offer any price information on its site at all. Instead, you have to fill out a form to get a distributor to contact you. The products that are sold on Amazon are pretty high compared to their competitors, like $63.99 for the shake. However, Amazon prices do tend to be different that the prices distributors offer, so the Amazon prices can never be more than just a general guideline. Honestly, these claims apply to most ways of making money online. To get specific information about the opportunity, you have to fill out a form to get a rep to contact you. The form gives them your phone number and email address, and you don’t have any way of knowing how they will contact. However, the form asks for the best time to contact, so that means they will probably call. So, to find out about the opportunity, you have to learn from someone with a vested interest in getting you to join? That’s not fun. Personally, I like learning about things on my own, not having someone try to convince me about what I should do. In fact, the site doesn’t even tell you how much it costs to sign up as a distributor. I am sooooo not into high pressure sales tactics, and would rather investigate the information myself, and purchase in my own time. Despite this, I was able to find bits and pieces of the company’s compensation plan through other sites online. To start off with, joining means that you have to buy a kit, which start at $49 and go up dramatically from there. With this company, the overall aim is to create a network of club members and distributors. The club members are the people who buy from you, while distributors are other people trying to make money from the company. That looks like a fairly typical pyramid structure to me. The letters on the diagram above (PV and QPV) are indications of some of the more complex parts of the compensation plans. Both of these are indications of minimum sales volume. Hitting certain levels lets distributors earn bonuses and hitting a certain sales volume is necessary just to make money. One of the challenges with this business type is that growing your income is challenging and complex. For example, hitting higher levels in the business (which results in more bonuses and more commissions) involves getting more members under you and getting the other distributors to meet a certain level of success. For example, this is the company’s diagram for reaching the director level. Strangely, this information wasn't on the main site either. The site only gives the cost in terms of cost per day, rather than how much people actually pay per month (which I added in red). This tactic makes the packs look less expensive than they actually are. Are you going to pay $40-$200/month for health shakes and vitamin c? As a distributor, it would be very challenging to convince members to buy one of these very specific packs every single month. Many people couldn’t afford to do that, or simply wouldn’t want the products that often. Friends and family might order one time to support you, but after that, very few continue to purchase on a regular basis. The products are also odd combinations. If someone wanted to lose weight, the last two packs (the most expensive ones) would be the most relevant, but the included vitamins aren’t all that relevant. Yet, many aspects of the commission scheme talk about getting a certain number of club members (like 3 or 12). These packs and the autoship approach mean that doing so would be a very challenging task in my opinion, especially if this is your first MLM style business. If you wanted to make money through NeoLife, you have to be able to successfully sell the products, recruit other people and get people to join as club members. All of these tasks require much more work than the company implies. Speaking about the products specifically, there are so many different brands of health and nutrition products out there already, and there is little about NeoLife’s products that makes them stand out. In fact, the added sugar makes them a little worse than other products. Realistically, you are fighting an uphill battle to recruit for a biz op and sell sub-par products. Making money through NeoLife is possible, but it’s also challenging. You are promoting products to a crowded market and competing against other distributors and companies. Because you have to order a certain amount to even be able to make money, NeoLife might just end up costing you money and not actually being a way to make profit at all. This happens a lot with MLM opportunities. MLMs look like good opportunities because they offer so many different bonuses and tiers. All these really do is make the system much more complicated. You just end up jumping through hoops to make money. In contrast, you can make money through your own website without any of this hassle or stress. Plus, using a website to make money lets you scale it up and grow it over time without having to recruit people. In fact, you don’t need to directly sell to anyone with your own site. Making money through a website, especially through affiliate marketing, is something that just about anyone can do. I’ll even help you along the way. Stick with your first love, go sell software…better yet, go work a paint counter at your local hardware store but for the love of everything holy, PLEASE STOP giving opinions on things you really have no clue or, heaven forbid, personal experience of. Haha. Sick burn Anton! Thanks for your time and opinion. How can you tell your immune system is strong due to NeoLife. I mean, what precise data can you show, or is it just anecdotal evidence? At 36 I was so sick I could no longer care for my own family, I prayed for God to heal me or show me what I could do to help myself. Neo LIfe got rid of my chronic fatigue, pain all over my body, PMS (pretty mean sister), allergies, digestive issues, & depression. I am now 70 & don’t need to be on a single prescription and feel phenomenal. I have seen these products work miracles in the lives of so many, including my own family. I have a personal testimony for Neo-Life. I was only 20 and always sick with strep throat and colds. A friend told me to try Neo-life and I’m so glad I did. I started out by taking a sample packet of Stress 30 vitamins and I had more energy than I knew what to do with. Haven’t ever had strep or bad colds again as I use the garlic which is the best and powerful real thing, the vit. A which doesn’t store in my liver as it is water miscible, and the threshold c which has all the p factors and has a release system to keep saturating me. I also had a friend who was in an Iron Lung and thanks to Neo-life was removed from it and healed just starting with a Formula IV and a real Vitamin e pill. I have also used their skin care products all these years and I look 10 years younger! My mom was on the cal-mag and the dr. told her that she had the bones of a 14 yr. old! These products work!!!! Yes they are made upto a standard not down to a price because they are worth it!!! SWANSON some people don’t like CHEAP, they like to over pay… then don’t google them then. 1980’s anyone out there remember CAMBRIDGE, diet shakes??? WOW, was it HOT for a while, then it was NOT… Even the devil uses some truth to get his lies across. Haha. Funny comment Dale. I do wonder how long those people keep those pink Caddies! Whoa this shiz got heated…healthy or naw? Hi, I’m not here to bash your article. You took a look from the outside (without personally trying Neolife I presume?) and gave your honest opinion of a company’s products and business structure. That being said, I would be interested to hear your opinion after you tried the products should you ever decide to do so. I’ve personally had many friends lose weight, avoid surgery, and be rid of chronic neck, back, and knee pains. The sugar in Neolife’s shake is released into your blood stream in such a way that it actually helps diabetics (who REALLY care about blood sugar levels). I was pleasantly surprised! Just this week one of my diabetic friends told me that after two months of taking Neolife she has cut her insulin down by 3/4ths! For her, it is well worth the additional cost to have a product that works so well. Once again, this is not to say your view is invalid. Just some other thoughts from a girl who loves health and seeks to find balance in everything! I’ve worked with a lot of affiliate marketers and it is a great way to go! Good luck with your work! It is very unprofessional to break down another company and call it your “opinion” just to market your own business. Even if it is on your own blog. Bless to be blessed. So I should only speak on a subject if I have a positive opinion of it? Sounds like a recipe for letting scammers run amok! I used Neolife for a while and ran into problems that were mentioned here. It’s selling an expensive product to a saturated market via means of an outdated medium (distributor). The product is so expensive because we are paying for the bonuses and commissions of all the distributors. Regarding the protein shake, it’s filled with soy. NonGMO or GMO doesn’t matter- men SHOULD NOT be getting that much soy. Even for women is will screw up your hormones. I totally agree about Soya products but when I told the BioLife rep this they again told me that the Soya that NeoLife is not like normal soya as it has No GMO. I also argued that it is still soya, I do believe soya is never good for anyone. I started taking the Pro Vitality to try to get healthier and ended up having allergic reactions, woke up each morning with my eyes all puffed up and feeling worse not better. I need to research all the products in this product to see what is affecting me. I respect your desire to offer an alternative to mainstream MLM culture and models, as well as your claim to be a coffee-sipping internet marketer who sells online from home… without being a salesman… or relying on the grassroots team model of person-to-person interaction. But, as someone who took a this company to task because of honest, logical skepticism (not as a platform to market my business), I was convinced by a critical, scientific review. An honest analysis would entail reading the peer-reviewed research, which NeoLife provides on it’s website (the same place you found the labels) since their products are actually verified by third-party scientific bodies to back up the claims on their label, like the American College of Nutrition, the USDA, & the New York Academy of Sciences. It would also require you to provide third-party examples of business legitimacy and success comparisons between direct-selling and affiliate marketing. Please, do some research on lawsuits, multi-generational businesses, and international business success standards of long-term integrity in conjunction with NeoLife before you use their legacy and that of their self-employed promotors disingenuously to promote your own claims. Also, you shouldn’t analyze nutrition companies of any form if you aren’t informed on how nutrition works or giving scientific standards by which you are judging. Attempting to compare brands based on label claims and assuming hype without the context of sources and complimentary ingredients, (i.e. sugar from fruit combined with fiber and antioxidants to balance blood sugar like real fruit does). If you were consistent with your own criteria, you’d have to quit eating apples. I like that you use a lot of “educated” sounding words to basically tell me my opinion doesn’t matter. Sorry dude, it’s my website and I’m allowed an opinion. I apprecaite that you did it respectfully but I can see through the BS. I can’t have an opinion on nutrition unless I know how it works? Butter used to be healthy, then unhealthy, and now it’s good for you again. Doctors used to recommend cigarettes for stress back in the day. In an ever-changing landscape, even the pros of the health industry change their minds all the time. Also, your analysis of the company I found to be very basic and almost neutral in your writing style as many of your points seemed to be basic surface research on a company through doing 5 minutes of research on page 1 on google, their website and Amazon pricing comparisons. Also, many of the points that you made could be copied and pasted to almost every single MLM company out there, which is why I imagine you copy and paste most of your article, change the name to another MLM/supplement company and launch another version of the site to sell more advertising space like you did in this one. With that said, this site is obviously here to promote yourself, however I do credit you on a high google search, you are obviously very good at SEO and getting yourself high on google rankings so well done there. F on creating a platform that tries to come across neutral. 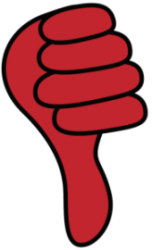 D- My personal opinion the site is very bland, basic and boring. Almost loses credibility immediately as soon as you log on with the colour schemes and basic template that you used. This article is full of misinformation. It is obvious that this article was written to distract, misinform and lead people into your money trap. How is writing my opinion and showing people what worked for me a ‘money trap’? No one is required to buy any products, and you can learn how I earn money online for free. I must be ranking for something related to NeoLife because the defensive army of IBOs is out in full battle gear! Actually, you must be dishonest, because you’re clearly using and SEO. Writing my opinion is not being dishonest. Have you tried to become a member? If you had done research and done it correctly you have found out that it cost NOTHING to get the products that you want, becoming a promoter is a choice anyone can do later but you can get the shakes and vitamins for free without paying for a “kit”. The sugar content is food based- your statement there felt uniforming to the public, its a food based sugar & is also only 11 grams. Can you tell me another omega3 capsule that has zero contamination and has all 8 points of omega3? If you can, I’d be interested. The serving size is for 8 ounces, as most other protein shakes are, if you have never seen the scoop size of all of them please don’t bring that into your debate. Neolife protein is one of the highest rated in the US. I really enjoyed your review! I have been researching it for 2 months and have a few things that I have found different, I am curious as to your source of information you use for your review! Nutiva hemp protein has all 3 omega fatty acids and all essential amino acids.12 grams of fiber 11 grams of protein. Only ingredient is organic hemp. John there are 8 omega 3s, not just 3 omega 3s and you can’t get all of them from a plant. Sorry. Have you researched Neo Life compared to Metagenics? Just curious as how the 2 vitamin and supplement companies compare. First off, I can tell you first hand that neolife is such an incredible product. 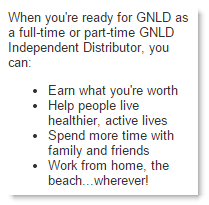 Your review consists of compairing prices from a source (amazon) that is not at all associated with GNLD, as well as uncertainty regarding the sugar content in the shakes. I am not a representative, nor an employee of the corporation, however I am a user and firm believer of the product. The sugar content is nothing to be concerned over, as one single fresh orange or apple obtains approximately 23grams of natural sugars. The sugar content is “higher” because of the natural sources used, the sources used enable the sugars taken in to be convert into energy rather than storing the sugar as fat. The shake mix powder is only created with natural sugars this being the reason for there being 17grams per serving. The product is only made from natural ingredients, meaning No GMO’S, No artificial colors, or flavors, and 100% all organic.This powder was perfected over the course of 50+ years, perfected specifically for cellular nutrition, meaning the cells within your body become well nourished and essentially “happy”. This product is the only other product with 22 amino acid chains, and predigested proteins. Which allow for extremely high protein absorbability, all while being much lighter on your body(kidneys). The cost comes down to approximately $2.60 per shake, just one shake will will fill you up enabling you to replace an entire meal. It undoubtedly will cost you more money for a greasy burger and fries per meal. Yet when you purchase neolife as your meal vs. A burger you’re buying the best of quality considering the ingredients. The business itself is not focused on profits but rather giving people a product that works, one that gives a healthy solution to whatever health problems they may habe with their body. I personally know many people who have their own inspiring and remarkable stories thanks to this product. If you’re unsure about the product you should absolutely give it a try, especially before you write a review. Any representative will gladly supply you with a FREE sample. I give the product 5 stars out of 5! “I am not a representative but I stopped here to tell you how wonderful the product is and how wrong you are for having an opinion different than me”. That’s about all I heard. I stopped here to help you understand the product to a fuller extent. It appeared to me as if you were lacking an adequate amount of information regarding the product. Information that is derived from sources other than the labels that is, such as first hand use. Why is it that they are not non-gmo verified, since obviously they make enough money off of their distributors and customers to do so? Soy and corn are GMO unless otherwise stated on ingredients. Neolife products are packed with soy, which is bad for men because of the naturally occurring estrogens, which will make you more feminine. Matrodextrine fiber is from corn, which is Throughout the products. They should drop the cheap ingredients and add wholesome food. John, they are beyond non-GMO verified, because their international label standard is no transgenic DNA, since they sell in over 50 countries, many of whom have laws against GMOs. For that reason, you can get a position statement directly from the company on GMOs that pre-dates and super-cedes the criteria of the Non-GMO verified project (which can be a great seal for avoiding GE ingredients here in the US where they are prevalent). You can also trace their individual products using the lot # to trace their ingredients to specific farms and countries around the world where ingredients you’re questioning are grown to avoid any possible contamination. NeoLife doesn’t waste valuable money from their patrons to get sub-standard seals of blessing from one country on their world-renowned products because they are busy investing that in R&D and peer-review proof from human clinical studies, which provide reasons to consume their products for what they do have, and not what they don’t. The SAB seal has much higher standards than the Non-GMO Verified project or even the USDA organic seal. Also, maltodextrin is not always from corn. Concerning corn, the original whole grain of the americas, it is a HIGHLY nutritious whole food in it’s beyond-organic, non-hybridized, non-gmo, fresh form. Concerning soy, there are no studies showing that soy turns boys into girls since GMO soy studies are not allowed to be published because the seeds are patented (and are actually not soy by definition) AND whole food, fermented soy (NeoLife’s is processed using the Protogard system) has waves upon waves of scientific proof as a healthy protein source for millions of people for thousands of years, from reduction of breast cancer to hormone balance. This is why you don’t find your claims to be true in any country like Japan or Indonesia to stand up in cultures where hormone problems virtually non-existent and that is their staple whole grain and protein source. You should read through the “Get the Science” tools provided on NeoLife’s website and read “The China Study” for the truth about soy. Check out YouTube videos as well for a quick reference. Well said Cameron! Also NeoLife(GNLD) holds a pharmaceutical license so anything they claim or put on their labels has to be true or they could lose their license. The FDA, while it does not approve any statements, regularly visits and inspects the facilities because of this license. A sample is kept for each batch of supplements for future testing if needed. As for soy the whole estrogen debate is very outdated science. In addition to what Cameron has stated I would suggest checking out M.D. cancer research center in Texas for their change in soy recommendations now for both men and women. The phyto-estrogens in soy do not work the same as the hormone found in the body, especially when used in the whole food form. You do realize those athletes are paid to endorse their products, right? there was a time when Verve was the official drink of the Phoenix Suns but Vemma (company that owns Verve) was shut down recently by the FTC for running an illegal pyramid scheme. Label reading and price comparing is what intelligent people do before making a decision. You should be more wise when it comes to your own health, and the health of your family. Again, Nathaniell, you are horrendously misinformed. NeoLife athletes ARE NOT PAID TO ENDORSE. That is one of the facts you can easily research but have chosen to ignore. Their athletes are at most sponsored with free product. I know this because I heard about NeoLife through one of their athletes and they only use the products because of their scientific backing and results, unlike other companies who sign million-dollar retainers so they are not responsible when their paid sportsmen get disqualified for spiked ingredients, like Nature’s Way (which you would apparently consume), or even expensive store-front corporations like GNC.